Hero MotoCorp is today the undisputed leader of the Indian motorcycle market. Its entry-level models, such as the Splendor and the Passion, have garnered almost stellar success and look strong for at least another few years to come. Hero MotoCorp can also be credited with the creation of new segments in our two-wheeler market. It is Hero who created the Indian performance bike segment with the launch of the much loved Karizma over a decade ago. While the Karizma has played a definite role in the development of Indian performance bike sector, it can’t be denied that the once successful motorcycle isn’t much of a match for its newer rivals, which is something that even the latest facelift has failed to cure. Having realized that the game has moved on, Hero MotoCorp is now readying an all-new model that is likely to play the perfect gatecrasher to the new Pulsar RS 200‘s and KTM 200 Duke‘s party. 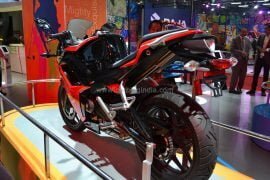 Hero unveiled the all-new Hero HX250R motorcycle back at the Auto Expo 2014 and while this motorcycle is taking its own sweet time to enter the market, the HX250R could very well become the next big thing in the world of affordable performance bikes in India. Hero has recently stated that unlike what was being speculated, EBR’s sudden shutdown won’t affect the Hero HX250R launch plans as the product was completed much before EBR’s closure. 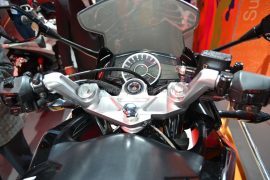 Here, in this report, we have compiled all the important details about the upcoming Hero sportsbike in India. Our guess is that the Hero HX250R launch date in the first week of February, 2018. The new bike could launch at Auto Expo 2018., The new motorcycle will go on to rival the likes of Bajaj Pulsar RS 200, KTM 200 Duke and Honda CBR250R. 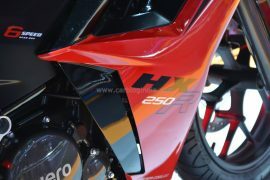 Hero has never priced its products ultra competitively and the HX250R isn’t expected to wage a price war in its segment. 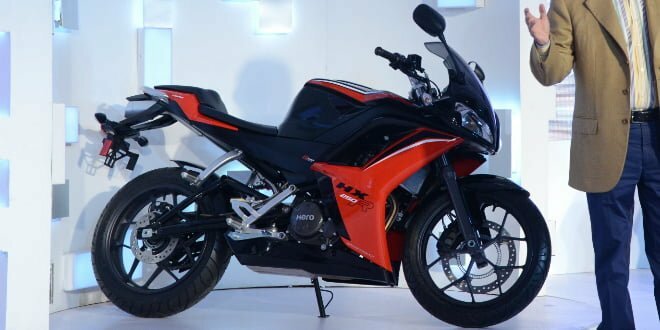 Our guess is that the much awaited Hero bike could go on sale for a base price of INR 1.5-1.7 lacs. Powering the upcoming Hero HX250R is a new 249cc single-cylinder, water-cooled, fuel-injected engine that belts out a maximum power of 31 bhp and a peak torque of 26 Nm. The engine will come mated with a six-speed manual transmission. This is the first engine that Hero has developed without any sort of technical assistance from Honda. Instead, Hero is likely to have benefited from its relation with EBR. Like the KTM 200 Duke, 390 Duke and the Bajaj Pulsar 200 NS, the HX250R gets an underbelly exhaust. The bike has a kerb weight of just 139 kgs. The bike gets disc brakes on both wheels. Up front, it will come with a 300 mm disc, while the rear gets a 200 mm unit. ABS is expected to be provided as an option. 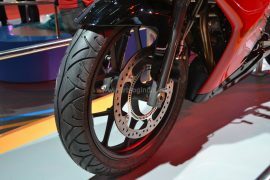 The HX250R will ride on 17-inch wheels that will be shod with 110/80/17 spec rubber at front and a 140/70/17 tire at the rear. 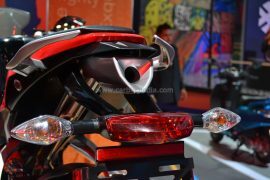 Hero claims that the bike will be able to dismiss 60 kmph from standstill in just 2.7 seconds and 100 KMPH in less than 8 seconds. Top speed is claimed to be around 160 kmph. Stay tuned to Car Blog India for more on the Hero HX250R India launch, a comprehensive review and other related details.